Barry Webb has had a life-long interest in things ancient since he was first introduced to dinosaurs at age eight. Shortly thereafter a copy of Jack London's wonderful novella "Before Adam" appeared on the classroom bookshelf to hijack his imagination and he has never been the same since. The remainder of his grade school years were spent devouring everything "ancient" he could get his hands on from "Alley Oop" comic books to Encyclopedia articles. After the hormone-induced intellectual black hole called adolescence, he emerged in college with a burning interest in things Greek, Roman, and Biblical. This interest was further stimulated by a flood of movies and books on those topics that came out in the late fifties and sixties (Mika Waltari novels, Quo Vadis, the Steve Reeves movies, Ben Hur, the REAL 300 Spartans, etc.). As a result of these irrepressible desires for things ancient he changed his major from music to History. Upon graduation from college he taught World History at the high school level which forced him to become a story-teller (as if he wasn't already). Human nature has always been what it is, and he taught his students that History is made by people doing stupid, hilarious, awful, and wonderful things to each other and to themselves as they tried to achieve their goals, both good and bad. Behind every event and personage in History there is a story--or several. Somehow he knew back then that when all was said and done, he was going to be a writer of historical fiction dealing with ancient times. After four-years of teaching High School Social Studies, the author fulfilled his military obligation by becoming a trumpeter in the U.S. Army band system. Since then he has picked up two MA degrees, one in Ancient History, and the other in Near Eastern Studies, and pursued a career as an Arabic translator and language analyst for certain government agencies. 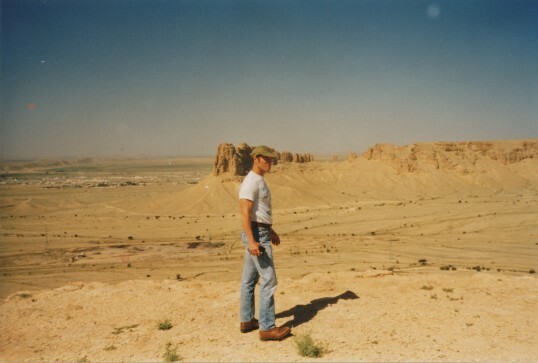 In the process he has lived, worked, and studied in the Middle East for a number of years. 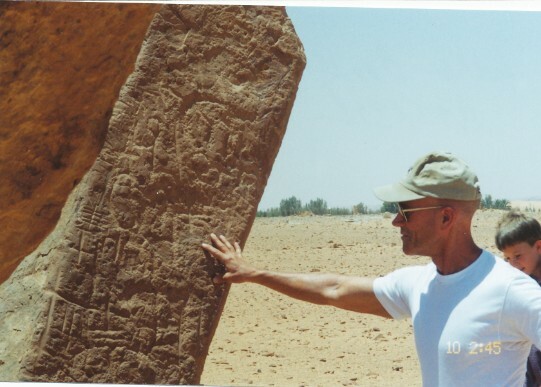 In addition to Arabic, he has also studied Biblical Hebrew and Akkadian cuneiform, as well as smatterings of other related ancient languages. During his spare time, while living in the D.C. area, he studied fiction-writing techniques at "The Writer's Center" in Bethesda, Maryland and experimented with a variety of genres, POVs, and story-telling techniques. The author currently lives in the American West where he is engaged in writing about the Middle East, both ancient and modern. He is a member of the Society of Southwestern Authors, the Historical Novel Society, and the International Thriller Writers group. While the author's writing schedule makes it impossible to answer all e-mails, he can be reached at his g-mail address: lastkingofbabylon at gmail dot com.